The final round opened with two matches of no consequence. Valencia slumped to yet another league defeat in 2012, as they closed the book on another successful/unsuccessful season. Connor Andrews at El Centrocampista examined the club as Los Che look to move forward with a new manager (Pellegrino), a new player (Jonathan Viera) and an existing sponsor (Jinko Solar). Barcelona also wrapped up their campaign with a 2-2 draw away to Betis. They now sit for almost two weeks before trying to send Pep off with one more trophy in the Copa del Rey Final on 5/25. Maria recapped the game for Total Barca, assessing the personnel for the match (Afellay, Keita and Montoya in particular) as much as the performance, with the Blaugrana able to secure a draw despite having Alves sent off. The campaign was not as successful as the previous three, but what joy they provided those who watched. Looking ahead to the summer transfer window Lee Roden tried to temper enthusiasm regarding new signings. He is pretty confident that FCB will not break a broke Spanish bank to sign RvP, Thiago Silva, Bale and Javi Martinez. The squad should be strengthened by the return of Villaand the club just needs to make one or two astute signings, preferably Thiago Silva and Jordi Alba for me. Sounds just about right. After a dramatic Sunday morning following the twists and turns of the Premier League, I was able to calm down (thanks to a couple of beers and a shot of whiskey) to get ready for the final round of La Liga matches, which would prove to be equally compelling, albeit at the other end of the table. Finding games was tough. US TV decided to show Real Madrid against Mallorca, a game only significant because Los Blancos were going for a record 100 league points, a goal that they duly hit in thrashing the visitors 4-1. Madridista Mac woke up on Monday morning basking in the glow of another “Formula One Football” performance by the league champs that saw Ronaldo complete the task of scoring against every team in the league in one season; the club hitting 100 points; and the team going through every gear in demolishing their opponent. 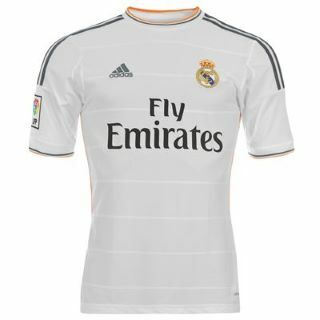 As a Barca fan, I respect Real Madrid rather than hate them and am interested to see what their next act is. After this season it is hard to imagine how even Sergio Ramos can let the trophy slip from his grasp. My legit internet option was Levante hosting Athletic Bilbao, and this was a key game in the race for Europe. I kept an eye on the match in first half but eventually my attention was drawn elsewhere. Los Granotes would eventually run out 3-0 winners to finish sixth and cap off a phenomenal season. Jack at Athletic Bilbao Offside summed up the last couple of weeks in one sentence: With league form sacrificed for the two cup runs, our final position wasn’t going to matter much this season but the defeat is still disappointing. Los Leones finished tenth in La Liga and now look ahead to the Copa del Rey Final against FC Barcelona. Here’s hoping they are well rested and give the Blaugrana a game. The real drama was at the bottom of the table, with five teams fighting to avoiding relegation. At kickoff, I found feeds for Levante/Athletic and Rayo/Granada, while getting constant updates on Villarreal against Atletico Madrid. 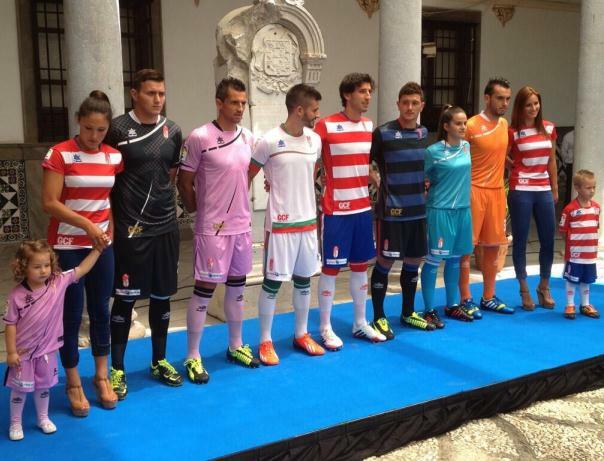 Rayo and Granada were slugging it out and neither team could get the opener. At halftime, all the games involving relegation teams were scoreless, but shortly into the second half, things began to change. First Zaragoza scored to get them out of the bottom three. Then Malaga got a goal against Sporting through Rondon, which dented Gijon’s chances of survival. Time continued to tick away as the Rayo/Granada game was scoreless, meaning that Rayo would go down. The game opened up, chances started to materialize, but Rayo could not find the saving goal. Entering the last five minutes, another twist to the story appeared as Falcao scored yet another goal to put Villarreal in real trouble. That trouble was compounded when Tamundo smashed in the ball from close range to finally sink the Yellow Submarine after a difficult, and disappointing, season. The scenes were phenomenal with fans rushing the field and opposing players embracing, everyone able to celebrate another season of Primera football. Wasn’t the greatest game, but it produced the most dramatic of results. Thanks to El Centrocampista for giving me the framework for the events. Allen Dodson at VillarrealUSA was obviously not in the best of spirits while summarizing a game that had the worst result possible. However, he holds out hope that the Yellow Submarine bounce right back to the Primera. From his mouth to God’s ears. Phil Ball tried to keep track of the constantly changing events of the final day that led to devastating blow to Villarreal. He also made time to praise Real Madrid’s points and goals haul, while shining a light on Mikel Aranburu, who retired from Real Sociedad after 15 years of service. Finally, Sid Lowe’s Guardian column this week is lengthy but absolutely worth it as he describes scenes beyond comprehension in Vallecas. His account is far better than mine because a) he was there; b) he wasn’t watching several games in a beer induced haze; and c) he’s a better writer than me. 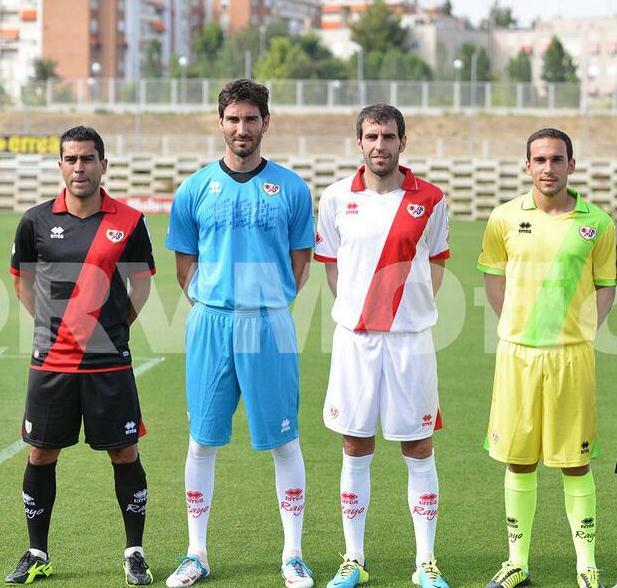 Rayo were only in the relegation zone for 33 minutes of the season—the last 33 minutes. Their last gasp goal saved them and doomed Villarreal, who Sid goes on to explain were too defensive and let in too many last minute goals, with a series of draws in the run in were the source of the failure to stay up. From Champions League to Segunda in just nine months. La Liga is back this weekend after a busy winter break. Three managers gone and replaced; Reyes still heading to Sevilla; Kaka up for sale; and Freddy Adu is set to train with Rayo. Several Primera teams are involved in the Copa and success in that competition will mean two games a week for most of this month. So get ready for intriguing and important games right from the off—Racing v Zaragoza, Malaga v Atleti, and Villarreal v Valencia—and some drama in the Copa del Rey. Andy Mitten looked back at the year that was in La Liga, touching on Barca’s dominance, key stories thus far and great games from the first half. His top five non-Barcelona/Real Madrid list looked a little light. What about Cazorla or Muniain or Negredo (who admittedly has cooled off lately) or Alba? Connor wrote a piece examining some of the top La Liga signings from last summer. Granted, I have a small visual sample to draw from, but I would say Cesc would have to be one and Falcao two. Two of Malaga’s signings—Cazorla and Isco have done quite well so they would be up there. Considering Kone didn’t really score at Sevilla, his time at Levante has been quite productive. Moving on to the clubs, Garrido is out at Villarreal. Not new news and not surprising as results have not gone his way this season, but a tough week (throwing away a lead at Osasuna and defeat in the cup to a third division team) proved to be the end. 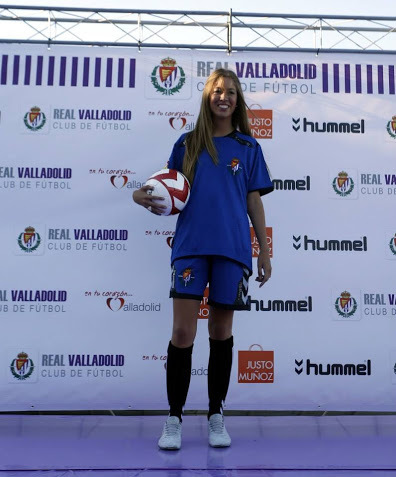 They have promoted B team manager Molina and David Redshaw at A Different Liga gave a quick intro to the new coach, who will have to focus on climbing out of the relegation places and regroup for next season. Graham Hunter used the Beatles production of the Yellow Submarine to create a metaphor for Villarreal—Make a big noise with cheap instruments. Villarreal rose to success on youth players and clever signings, and Hunter hopes that the Yellow Submarine can get back on track and rise up the table. Manzano at Atleti was also given the sack and replaced with Diego Simeone. Mando at Forza Football shared some thoughts on the dismissal of the two coaches, looking at each club’s context and possible direction. The days are gone when a coach could work through a rough patch and come out the other end stronger. Results now, and positive results at that, are what presidents are looking for. 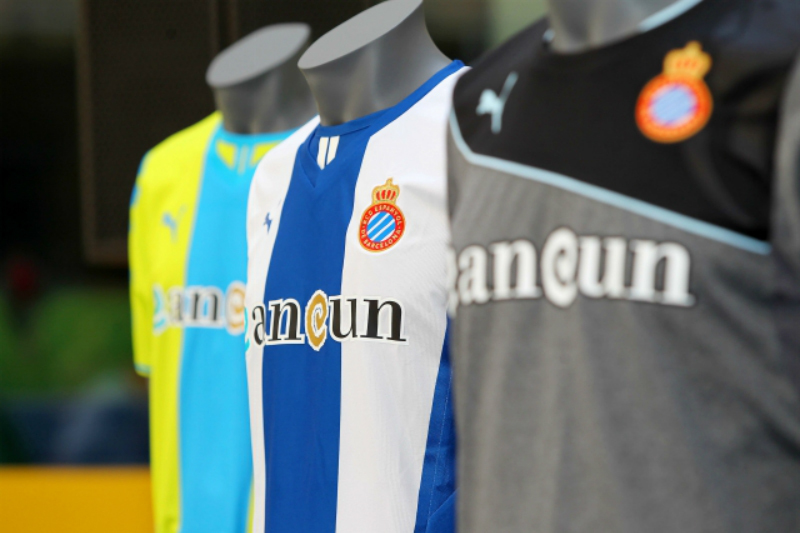 Olly Dawes looked at possible transfer targets for Espanyol as they look to improve their attack. I admit I hadn’t heard of some of the names, but if Los Periquitos want to stay out of the relegation fight they need to find some goals. While watching American College Football, I came across news from Football365.com that Joaquin has suffered an injury and won’t be back until February. Malaga has a tough schedule this month, so that will be a big loss. Finally, Catalunya played a friendly against Tunisia that ended in a scorless draw, but it sounds like the Catalans dominated possession. Lee Roden asks the recurring question: should Catalunya have their own team? I admit I don’t know enough about everything involved, but I would say no. They are a Spanish region and are not their own country. If they want to form their own entity then everything will take care of itself. 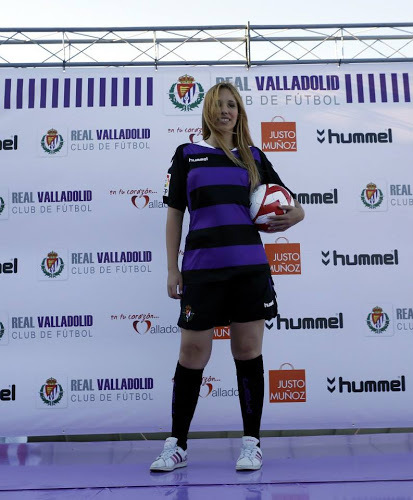 Forza Football had Tim Stannard (aka @LaLigaLoca) on to talk all things La Liga. It was a great conversation with thoughts on El Clasico and predictions for the two teams for the rest of the season; Valencia’s plan to move forward with the new Mestalla; Atleti’s continued problems, with insight into the leadership cultural there (ie two leaders working at cross purposes); the impending relegation fight and who might go down; and the upcoming European Championships that LLL feels confident that La Furia Roja can win. Tim provides context and depth to the events in the Spain and was a fascinating guest. The panel on the Villarreal USA pod discussed the choice of Molina as the next manager, with the accompanying pros and cons. Their schedule after the break is tough and it will be interesting to see if the new man can survive his trial by fire. They also examined possible signings to help bolster the squad and looked at the club’s finances. La Liga Weekly reviewed the last 12 months in La Liga. A lot of time was spent on the battle between FCB and Real Madrid. Also, revisited an interview with RVN, which led into a conversation about Malaga’s ambition to challenge for European places and beyond and a look at the rest of the table including Villarreal’s troubles. 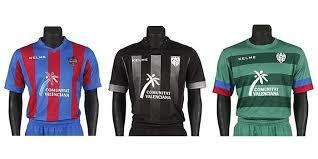 Plus the Atleti situation was touched on as well as the Levante story that keeps on chugging along. There’s a lot to get to, so here we go!! A slow start to this round on Saturday rose to a crescendo by the end of Sunday. Saturday saw only two goals total in three matches, but Real Madrid lit the match paper on Sunday (12pm local, 9pm in Asia and 6am in the US) and after that, almost every match was exciting and filled with goals. Later I will talk about this round’s Match of the Season (Athletic Bilbao v FCB) but let’s start with the nightcap on Saturday. This game stood out for me for several reasons: Levante just suffered their first league loss of the season and, after their dream start, I wanted to see how they would respond; and Valencia got a big win midweek against Bayer Leverkusen and their season seems to be coming into form. The Valencian Derby got off to a cracking start with tackles coming thick and fast and there was almost an opening goal for Levante inside of three minutes. Valencia came into the game with Mathieu finding a lot of joy on the left hand side. Then a razor sharp pass from Tino Costa let in Jordi Alba (playing more of a Left Center Mid role in this match) on 31 minutes, and his shot trickled in for an early advantage (Later it was ruled an own goal by Javi Venta as he tried to recover defensively). The early energy had faded from the hosts and they were fouling and scraping, receiving three yellows very quickly, until halftime. I was hoping that the break would give the Granotes a chance to reorganize but another early foul set up a Tino Costa free kick. It was well struck but the goalkeeper made a complete hash of it to put Los Che up 2-0 with 40 minutes to play. After that Valencia exploited their advantage and looked to be in complete control, but Levante didn’t give up and created a series of half chances, but nothing came of it. The result sees the two teams heading in different directions going into the International Break. Valencia have won their last four in all competitions, while Levante have lost their last two matches. After the break, it gets tricky for both sides. Going into the match I predicted a score draw. Los Leones had been a good run of form both in the league and in the Europa League, plus the Blaugrana usually struggle when they go to San Mames. Pep started the game with an intriguing lineup, with Adriano, Messi and Iniesta up top (or Adriano out left with Cesc up top, depending on how you look at it). I was skeptical about how Barcelona would attack, but then Adriano played some neat one twos early before scuffing his shot, so I thought, this won’t be so bad. Bilbao started the match with great energy and quickness of movement and quickness of thought, putting the champions under pressure in rainy conditions. Sorry, that’s an understatement. It was a downpour the entire the first half with spraying with every step, with every pass that zipped along the floor. I told my friend early in the game I was afraid of Alves or Abidal slipping going forward and leaving the other defenders exposed. Turns out Mascherano was the one who lost his footing, letting Susaeta in, who looked up and found Ander at the top of the box. He took a neat prep touch and his composed finish to the far post ended Valdes’ 900 some minutes of clean sheets. 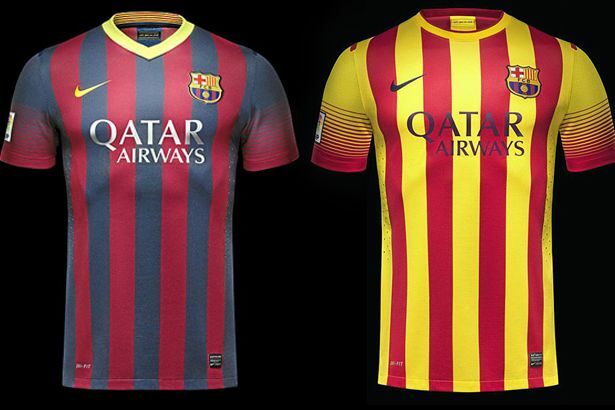 FCB got right back it. A well worked set piece was saved by Iraizoz and then Abidal took a big touch in the left hand channel and hit a fantastic ball across the six yard box, which Cesc headed in to equalize. A great first half ended with Bilbao in the ascendancy. Barcelona responded well after going down and took control of the match, playing quickly and with purpose, but Los Leones dug in and gave it right back to the champions. The question at halftime had to be: could the hosts keep it up for the entire match? The second half started with lots of fouls. Added to this were puddles all over the pitch, so the rhythm of the first half was gone. The half Bilbao defended was in poor shape so they had a hard time countering and were under a lot of pressure, although the Blaugrana had a hard time creating clear chances. Then in the 80th minute, things got crazy. Mascherano, in an attempt to play back to Valdes, ended up kicking the ball out for a corner. The resulting kick came into penalty area and was missed by Pique. Abidal tried to clear but ended up hitting Llorente and the ball rebounded off the tall striker and then off Pique and into the goal. Just like that Bilbao were in front. Pep immediately subbed Pique for Thiago and went to a 3-4-3. Barca turned up the pressure and after Iniesta and Villa had good chances saved, it looked as if the Blaugrana would lose their defensive record and unbeaten record in the same match and go four points down to Real Madrid. But a scramble in the Bilbao penalty area fell to Messi and he made no mistake, stroking it in to equalize and scoring his first away goal in the league this season. An enthralling game which ended in a fair result. Bilbao have made real strides and these kind of efforts give them every chance to qualify for Europe again after a slow start. 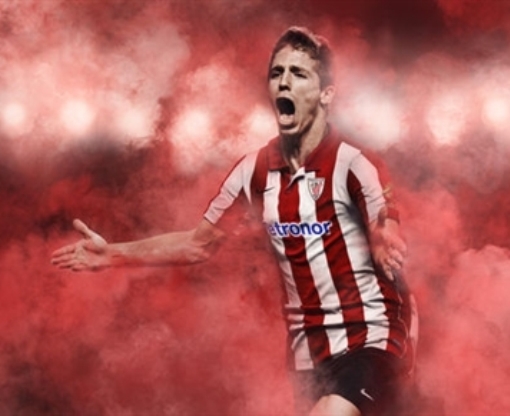 Muniain had a tremendous match, energetic and always problematic. Llorente had several good touches in link up play and did well as the target player. As for the champions, their tempo was very high in the first half despite missing several key players, and their responses to going a goal down twice earned high praise from this viewer. Messi was subdued but was hounded all over the field. Xavi dictated play as usual but his shooting was poor when he had the opportunity. FCB dropped points and now Real Madrid have the advantage with el clasico just a month away. Sid Lowe put his gloss on the epic match at San Mames, reflecting on the relationship between Bielsa and Guardiola and lauding a typical Bilbao team that had an edge due to their manager, and commenting that Los Leones’ season seems to be coming good, unbeaten in 10, while FCB remains unbeaten this year in all competitions but three points down to Real Madrid. Lee Roden (@LeeRoden89) at El Centrocampista summed up the match: It was a match that in reality was far from classic in terms of quality, but top drawer in the entertainment department. He also felt thatBilbao had the upper hand in the conditions. Kelsey from the Barcelona Offside blog did a much better job of summarizing the game than I did. However I disagree with several of the ratings that were given. Mascherano a 6.5? Responsible for both goals and beaten for pace, there’s no way he gets above a 5. Adriano a 5? He was involved more in the attack than I thought he would be and considering he is not a natural attacker and did a decent job defensively, thought he did well and deserved more. Finally Kxevin at Barcelona Football Blog gave a synopsis of the game that acknowledged Bilbao’s pressure and unyielding effort. His ratings were a little more in line with my thinking but he gave Alvesa 5, which I thought was a little harsh. The rest of the league . . .
Villarreal has had a rough couple of weeks: a pair of 3-0 losses to Levante and Real Madrid; knocked out of the Champions League after losing their first four matches; a 0-0 draw with Espanyol on Sunday; and a host of injuries, which has the left the squad quite depleted. Graham Hunter took a look at the club and how the absence of their star, Guiseppi Rossi, may affect the Yellow Submarine. Meanwhile, Sam Parker from footymatters.com examined the current squad and how the recent results have created a negative vide at the club and things may get worse for everyone involved. Sid Lowe on the Guardian’s Football Weekly went the other way, saying that Madrid do well against the top sides and that they may finally have the edge they need to win the league this year. David Redshaw at a different liga wrote a quick post mortem on a stunning performance from Getafe in the last match of the round, as the The Dark Blues secured a victory despite being down a player for almost an hour. The comments from the Atletico Madrid coach Manzano, especially Defeat against Getafe was a total disaster, do not bode well for the team or his future on the bench. Olly Dawes had some comments on Malaga’s start to the season. Pellegrini’s squad selection has come into question and everyone is coming up with a list of reinforcements for January. Here is a little info on Barcelona’s rising star Isaac Cuenca. Nothing about Real Madrid this week. They won. They won a game played at 12 noon local time. CR7 scores more goals. Opponents play a dangerous high line and are punished. That is all. Finally, Forza Futbol had Chris Clements on to talk about Spanish Stadiums. 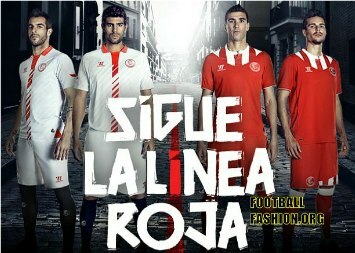 as he has launched a website: http://estadiosdeespana.blogspot.com/. He also had some frank and poignant comments about away fans and ticket prices in Spain. Amazing information and his website is very informative. Also, the panel covered a lot of ground in a pod with Edu after a round of midweek games during the week of 10/24. Despite it being a couple of weeks old, there is still a ton of good information about some of the forgotten teams in La Liga. If you’re still reading this post, much thanks. Here is the table heading into the break and some questions. How long will Valencia stay in touching distance with the Big Two? Can Real Betis turn it around after a soaring start has transformed into a devastating crash? Is Sevilla’s run at the top four over? Can Real Sociedad climb off the bottom? I found time to watch a Champions League game on each MatchDay and was rewarded with six goals. MatchDay 5 approaches with several mouthwatering and do or die ties (AC Milan v FCB, Lyon v Ajax, Manchester United v Benfica and Bayer v Chelsea), but here are the scores and comments on MatchDay 4. Valencia got off to a great start in this must win game with a goal inside of 12 seconds and for 20 minutes or so were in complete control, but Bayer eventually found their pressuring rhythm, and Valencia went off the rails in a hurry. Kiessling scored after 31 minutes, and the hosts couldn’t quite get the slickness back of the opening period. But then a surge of energy in the second period from Los Che generated a cheeky goal from Soldado. After that, Uncle Mo switched to the Spanish side and the Germans ran out of gas. A third goal came from Rami off a corner kick and Valencia earned three vital points. They are currently third with 5 points, one point behind Bayer and three points behind Chelsea. Next up is Genk at home. Los Che will probably need all three points as they travel to Stamford Bridge on MatchDay 6. On a sadder note, Valencia may have lost Banega for six weeks. FCB smacked around Viktoria Plzen but the Czech team was hard done by the ref. Plzen had a chance to take an early lead on a breakaway but VV held his ground and denied Petrzela. Just minutes later, Messi skipped into the penalty area and was taken down by Cisovski. The result was a PK and a straight red. To be fair, the card was harsh. The keeper was coming to make a save, and I think a yellow would have been just. After that, it was pretty much one way traffic with Messi getting a second before half time. Cesc added a third before Messi finished his hat trick after rounding the keeper. Total Barca wrapped up the game and commented on how Pep is working on developing depth in the squad. Both AC Milan and FCB have qualified, and with the Rossoneri drawing, the Blaugrana are in control of the group. A draw in a couple of weeks will all but assure them top spot in the group. The Yellow Submarine are out of Europe. Period. Watch the highlights. Shambolic defending plus injuries to key players made this a miserable campaign. They must now pick themselves up and concentrate on improving their place in La Liga. For 35’ Real Madrid pinned back Lyon and battered them. Slowly the hosts worked themselves back into the game and really should have punished Los Blancos, who became complacent and sloppy. Lyon had several quality chances but left their finishing boots in the locker room. CR7’s sick free kick in the first half and solid penalty in the second sealed the points. Madridista Mac was relieved that the curse of Lyon was broken and had a couple interesting player notes from the game. Real Madrid are through as group winners and now Lyon will have to beat Ajax at home in a couple of weeks to give themselves a chance to progress. Both Spanish teams are doing well in the Europa League. Bilbao won away at Salzburg 1-0 with a goal from Ander, which keeps them top of the group. A point at home in their next match against Slovan Bratislava ensures qualification to the next round. All three points and then they will only need a draw in the last match day away to PSG. As for Atletico, they crushed Udinese 4-0. Two draws will see them through to the next round. Their next match is away to Celtic before finishing against Rennes at the Calderon.